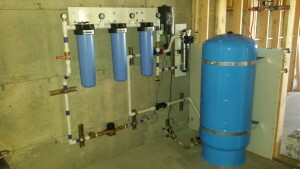 RainBank Rainwater Systems designs and installs custom treatment systems to meet customers’ specific needs. Harmful bacteria, pathogens, and cysts removal is a must in a potable rainwater collection disinfection train. This is typically achieved with a class “A” UV light. Flow rates are calculated to achieve the correct amount of contact time with the UV spectrum for proper disinfection. The correct class of UV for a specific application is required. A class “A” UV must be used for water that is not deemed safe to drink. A class “B” is only used for water that has already been safe to drink. But there are other considerations for water treatment. The raw water must be relatively free of sediments, turbidity, organics and inorganics before entering the UV chamber. The UV spectrum will not be able to penetrate the water column effectively otherwise. Special consideration of environmental constituents should also be addressed for proper treatment. Environmental concerns can include location of collection area. Where is the house located? Possible hydrocarbons from a nearby freeway would be a concern. Pesticide use from farming or city landscaping maintenance should be considered. Roof material and manufacturing process could pose a health threat and should be addressed – all of which can be corrected with proper filtration, whether it is accomplished with canister elements or back flush devices. Rainwater is typically acidic, approximately 5.5 to 6.0 ph; nominal being 7.0 ph. The lower ph levels, while not considered harmful to humans, can have a negative effect on plumbing and fixtures. 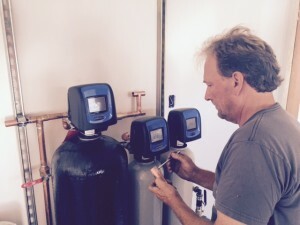 A more nominal ph level can be achieved with proper treatment. Rainwater is relatively clean to begin with; much more than surface water. It is what it comes in contact with that can change its purity. Proper design and installation of a filtration and disinfection only comes from using the “right tools for the job”. The Yakima Valley is experiencing drought conditions not seen since the 1870s. 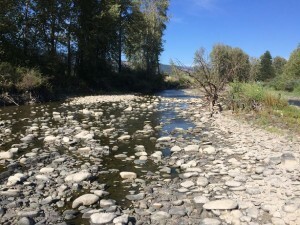 Water rights that were among the earliest in the Territory of Washington, to be used for irrigation, have been shut off in tributaries of the Yakima River due to extreme drought conditions. 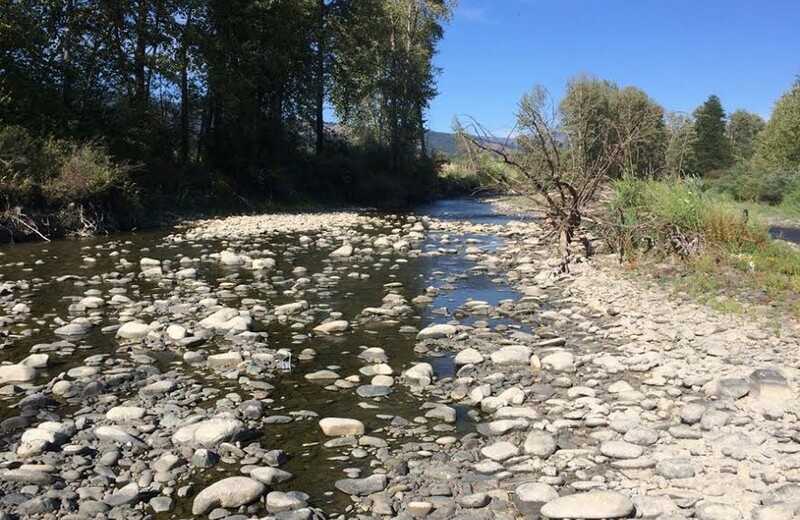 The U.S. Department of Agriculture has designated 18 counties in Washington State as natural disaster areas because of the statewide drought. Farmers in these counties will now be eligible for low interest emergency loans to help defray crop and business losses incurred because of the drought. Eligible counties are: Adams, Benton, Columbia, Douglas, Franklin, Garfield, Grant, King, Klickitat, Kittitas, Lewis, Lincoln, Okanogan, Pierce, Skamania, Walla Walla, Whitman and Yakima. This map shows designations due to drought across the country under USDA’s amended rule. Any county declared a primary (red) or contiguous (orange) disaster county makes producers in that county eligible for certain emergency aid. For a text list of counties designated disaster areas, click here. On May 15th, Governor Inslee declared a statewide drought in Washington, with the legislature allocating $16 million in funds. Some of those funds are to go towards education. Washington State Department of Ecology recognizes and promotes Rainwater Collection as part of the solution. To read more about how to conserve water, read he article “Water Smart, not Water short” 5 ways to Secure water for Washington’s Future. In one northern California community, an area ravaged by a four year drought, residents are watering their lawns using gray water – water that has been recycled. The community of El Dorado Hills has one of the oldest water recycling programs in the state – reusing water for any purpose that doesn’t require a potable standard. ‘”All your shower water, all your toilet water, dishwater, everything that goes down your sinks, comes to this facility and we clean it up,” El Dorado Wastewater Treatment Plant Supervisor of Operations Alan Planje said. A bonus is that customers save about 35% on their water bills. But another extremely important benefit comes from the fact that the community saves 4.5 million gallons of drinking water per day, by not wasting it on watering lawns. 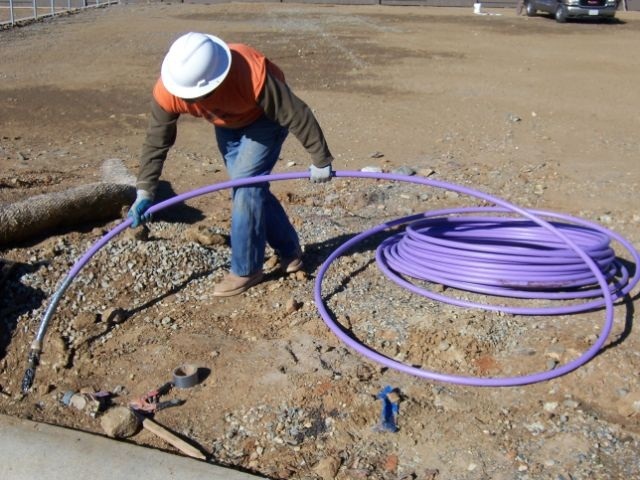 “It is part of the culture, when homes are built in El Dorado Hills, they come with plumbing for recycled water,” El Dorado Irrigation District Manger of Wastewater/Recycled Water Margaret Washko said. Dual plumbing systems are built into each home in the community, one for potable water and a purple pipe system for the gray water to water lawns and even the golf course.